Solar panels are shown at a power plant in central France in September 2012. Morocco's pioneering 160-megawatt solar power plant took a step forward on Monday, securing European financing agreements worth 300 million euros ($385 million), or nearly half of the project's cost. The European Investment Bank (EIB), Germany's KfW bank and the French Development Agency signed the financing accords with Morocco's solar energy agency MASEN in Marrakesh, to support the first phase of the Ouarzazate solar complex, a joint statement said. The announcement comes shortly after two German firms, Bosch and Siemens, said they were quitting the ambitious Desertec project, to build solar power plants across North Africa and the Middle East, dealing a blow to Europe's clean energy plans. Morocco is aiming to become a world-class renewable energy producer, and is eyeing the chance to export clean electricity to neighbouring Europe. European financial support for the Ouarzazate project following Monday's agreements amounts to 345 million euros, the EIB said, including grants worth 45 million euros already agreed to by the European Union and Germany. The desert power plant will also be financed by the World Bank, which agreed to a $300-million loan last year, and the African Development Bank. A Saudi-led consortium won the contract in September to build the first 160-megawatt phase of the Ouarzazate plant, which is expected to cost nearly $1 billion and is slated for completion in late 2014. A second phase is expected to raise the plant's generation capacity to 500 megawatts by 2020. 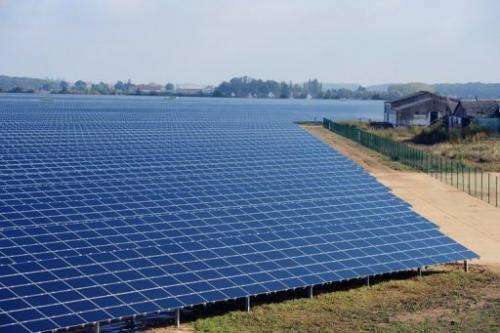 It is the first in a series of vast solar energy projects planned in the north African kingdom.